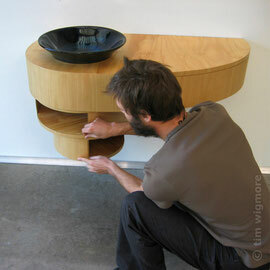 The Spin Vanity Unit was designed to be a fun and innovative way to reveal/conceal/access bathroom paraphernalia. 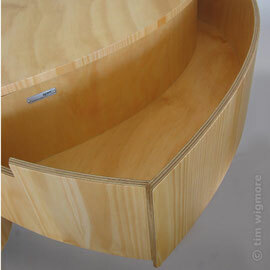 In essence, it is a wall-mounted series of hanging drums that rotate forward to reveal storage compartments. 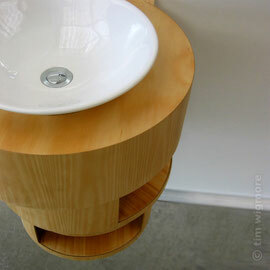 Spin was developed for Uku Ceramics to complement their range of ceramic basins. Some later versions had a longer curved top, which allowed for a larger storage drawer and bench space. Winner of the 2006 Home magazine Best Bathroom Product Award.